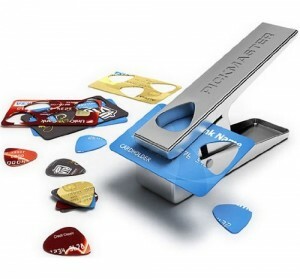 Make your own guitar picks out of any old bits of plastic such as old credit cards, food carton lids, ice cream tubs. Just position your junk plastic in between the guitar pick punch device and press down. Instant plectrums! At the time of posting this, amazon has it listen for 73% off! So go grab yours now!